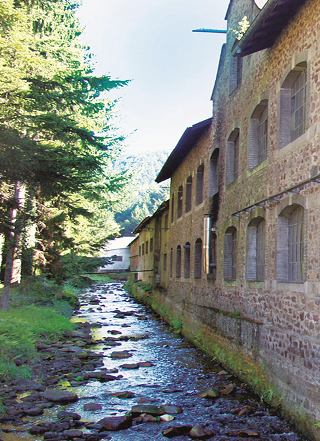 The company de Buyer is based in the Vosges. In the village of Le Val d'Ajol, several handymen teamed up to produce different household utensils made of tinned iron in 1830. They manufactured articles for daily use such as pots, kettles, watering cans, bowls and pans. 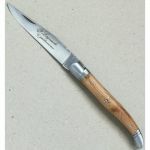 In 1887, the workshop was taken over by the family de Buyer, who already owned several blacksmith's shops and mills. The expansion of their portfolio proved to be a great success for the de Buyers. 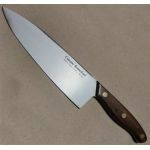 Until this day, the name de Buyer stands for excellent quality in the field of cooking utensils. The product range of the company is wide and diversified. 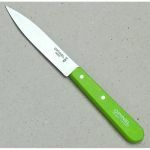 It contains more than 3,000 cooking articles, which are equally popular among expert chefs and passionate amateur chefs. With its cooking utensils, de Buyer combines tradition and modernism in a unique way. A good example for this is the Prima Matera collection, which is based on the classic material copper. Copper is a metal that is known for its excellent heat conductivity. As a result, the walls of copper pots warm up nearly as quickly and evenly as the bottoms. 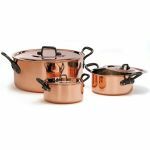 The pots of the Prima Matera collection consist of 90 per cent copper and 10 per cent stainless steel on the inside. 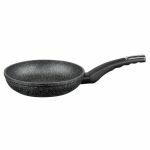 This composition ensures that the pots, pans and casseroles are not only easier to clean but also more durable. However, the main highlight is that the Prima Matera collection has been specially designed for use on induction cookers. By choosing traditional materials and proceed them by means of modern technologies, de Buyer produces cooking utensils that have no rival. 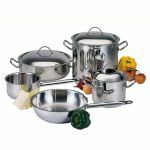 As a matter of course, de Buyer also offers various sized pots, pans and roasting dishes made of pure stainless steel. The same applies to baking utensils. 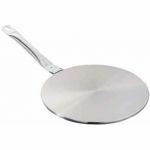 Apart from traditional metal cake tins, de Buyer also offers baking dishes made of silicon. 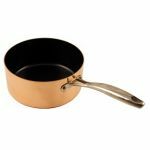 In addition, pans are also available with modern, high-quality non-stick coating. Of course, functionality has always been more important to de Buyer than design. For example, the iron pans produced by de Buyer are of such high quality that they can be handed down from generation to generation. This is one of the reasons why the company chooses designs that are classic and timeless. 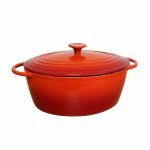 As a result, de Buyer's cookware is an eye-catcher in every kitchen. 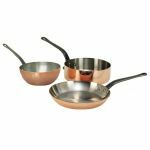 Particularly the copper serving pans look so beautiful that they top off any festively decorated table. 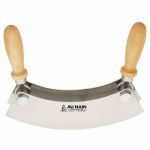 Thanks to the double and triple cold riveting of the handles, you will be so impressed with the craftsmanship of the cookware produced by de Buyer that you will choose it over and over again. 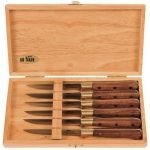 Owing to its high quality standards, de Buyer has found many fans in the best kitchens around the world during the 180 years it has been in business. 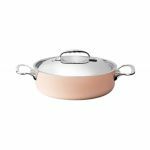 In more than seventy countries, expert chefs use the pots and pans, which have been produced by de Buyer in Le Val d'Ajol to this day. 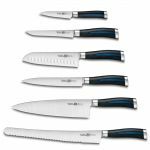 But there are also passionate amateur chefs who enjoy cooking much more when using cookware of excellent quality. 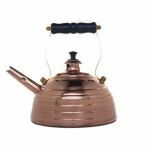 They also enjoy the admiring and envious looks of acquaintances and friends who are enthusiastic cooks when the copper roasting dish by de Buyer is placed in the middle of the table during a nice dinner at the weekend. 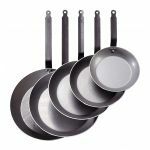 First and foremost, however, it is very important for yourself and your personal progress to not only use fresh ingredients but also the best cookware available. 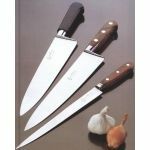 The name de Buyer stands for quality and has fascinated many chefs during the course of centuries.